We are a unique name in the market to provide our honorable customers an exclusive range of Platinum Tong. 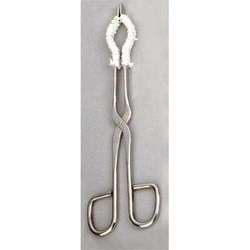 - Beaker Tongs are Made Of Die Pressed Stainless Steel Rod. - Front Arms of the Beaker Tong Covered With Asbestos, Silicon Rubber. Made from 1/4 thick steel rod. For handling beakers etc. Can hold beakers 50 to 1500ml. 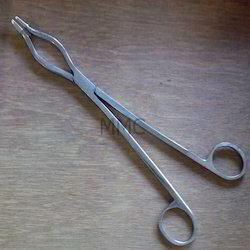 Glass agencies are manufacturer & exporter of beaker and flask tongs. We offering a comprehensive range of Chemistry Labware such as Air Pump, Beaker Tong, Boss Head, Centrifuge Tubes, Gas Tap, Heating Mantle, Meter Rule, Oven, Ph Meter Digital, Stop Clock, and Test Tube Glass.